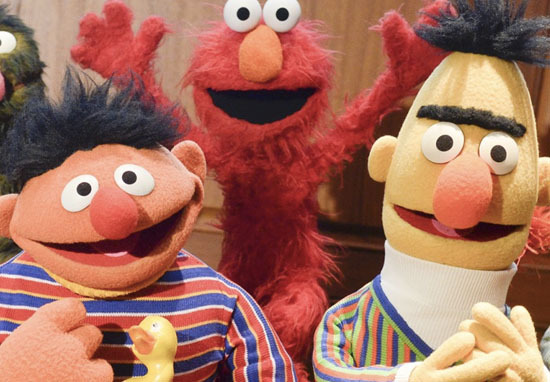 Since 1969 Sesame Street has always, somehow, found the perfect balance between being an educational show for kids and a show with much more universal messages. For anyone who watched it as a child growing up, its characters taught you things like the alphabet and simple math, as well as lessons about friendship, life, and growing up. 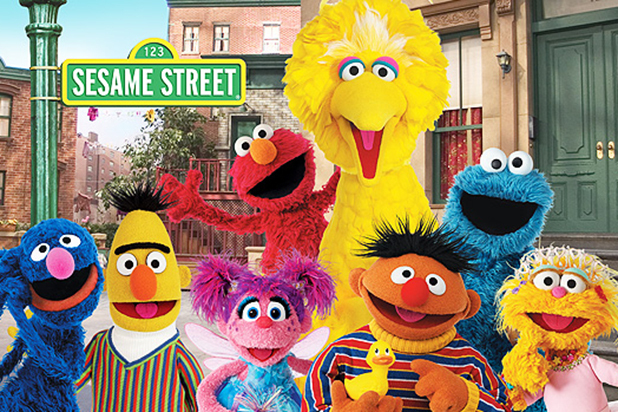 Sesame Street‘s cast of colourful characters, from Big Bird to Cookie Monster, Elmo to Oscar the Grouch, not only provided the show’s backbone, but taught us the importance of many aspects of life, not just preschool education. Alhough its main aim was to help educate children, Sesame Street has also always been brilliant at not having to overstate or overemphasise some of its themes. In a recent interview with Queerty, Sesame Street writer, Mark Saltzman, confirmed what some people may have suspected, what some people may have never questioned, and what ultimately, in my mind, doesn’t make any difference other than confirming yet another positive message within the show. 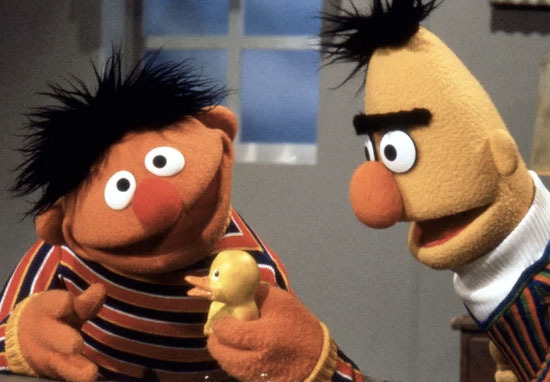 I remember one time that a column from The San Francisco Chronicle, a preschooler in the city turned to mom and asked “are Bert & Ernie lovers?” And that, coming from a preschooler was fun. And that got passed around, and everyone had their chuckle and went back to it. I don’t think I’d know how else to write them, but as a loving couple. 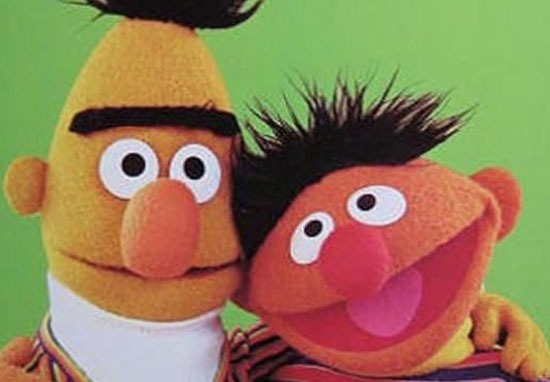 Essentially, Mark revealed Bert and Ernie were a reflection of his relationship with his partner Arnie. Yeah. Because how else? That’s what I had in my life, a Bert & Ernie relationship. How could it not permeate? The things that would tick off Arnie would be the things that would tick off Bert. How could it not? I will say that I would never have said to the head writer, “oh, I’m writing this, this is my partner and me.” But those two, Snuffleupagus, because he’s the sort of clinically depressed Muppet…you had characters that appealed to a gay audience. I think during Sesame Street was when I came completely out. By ’86 [Arnie and I] had an apartment together. My father knew. There was no hiding it. However, introducing gay characters to Sesame Street was not as easy as just writing them in. Mark remembers pitching gay content to the education department at the time ‘just to get it off my conscience,’ as he puts it. However, he says he was, at first ‘stonewalled’. But then, when writing Bert and Ernie, Mark ‘didn’t have any other way to contextualise them’, so his life with Arnie was simply and naturally reflected in the characters’ lives.